In United States immigration news this week, a new report confirms the steady increase in USCIS denial rates for all employment-related filings since fiscal year 2016. The United States Department of Labor's new Labor Condition Application now requires employers to name third-party organizations where H-1B, H-1B1 and E-3 workers will be placed. In the Czech Republic, the minimum monthly salary for foreign workers will increase by 12 percent effective January 1, 2019. These items and other news from Australia, France, Iraq, Netherlands, Trinidad & Tobago and the United States follow in this edition of the Fragomen Immigration Update. • The new LCA form requires employers to name third-party organizations where H-1B, H-1B1 and E-3 workers will be placed. • H-1B dependent employers claiming certain exemptions from their recruitment and non-displacement obligations will need to identify the basis for the exemption and in some cases, provide supporting documentation. • The new form is now available in iCERT. • Denial rates for all immigration benefit requests are up by 37% since Fiscal Year 2016. • USCIS statistics confirm that the agency has taken an increasingly restrictive approach to employment-based immigration since the Buy American, Hire American Executive Order and related policies were issued. Effective January 1, 2019, the minimum monthly salary for foreign workers in the Czech Republic will increase to CZK 13,700, up 12 percent from last year. While the increase is considerable, employers are expected to easily meet the new threshold since foreign workers typically receive salaries well above the threshold. United States: USCIS Updates H-2B Cap Count - USCIS reports that as of November 19, 2018, it received filings on behalf of 27,618 H-2B beneficiaries for the first half of FY 2019. Of these, 25,859 had been approved and 1,759 remained pending. The cap for each half year is 33,000, but USCIS accepts filings in excess of the cap because some cases will be denied or withdrawn and because employers may ultimately employ fewer H-2B beneficiaries than reflected in their petitions. Australia: Priority Processing of TSS Applications Restricted to Accredited Sponsors - Effective immediately, priority processing of Temporary Skills Shortage nominations and/or visa applications is only available to Accredited Sponsors, where it was previously available to any employer. Therefore, it is no longer possible to request urgent processing of applications lodged by non-Accredited Sponsors, even where there is a strong business case. The removal of priority process requests means that obtaining (and maintaining) Accredited Sponsor status is now more important than ever. Additional benefits of accreditation include the ability for Accredited Sponsors to advertise on their website for labor market testing purposes and streamlined processing of nominations. Employers interested in applying for Accredited Status should contact fragomenclientcorrespondence@fragomen.com for more information. Australia: Expanded Refund Provisions for SAF Charge - The Australian government has expanded provisions for a refund of the Skilling Australians Fund (SAF) charge, which must be paid at time of nomination of a Temporary Skilled Shortage visa or permanent employer-sponsored visa. Effective November 17, 2018, employers can seek a refund of the SAF payment for approved TSS visas where the period of stay proposed in the TSS nomination was 12 months or longer (applies to TSS nominations lodged on or after August 12, 2018) and visa holder ceases employment with the sponsor or an associated entity within one year of commencing employment. The refund amount will be the SAF charge paid less the amount of the charge that would have been payable if the period of stay proposed were only one year. Note that there is no provision to seek refund of the SAF charge where a TSS nomination is refused, for example, where evidence of Labour Market Testing (LMT) is not uploaded at the time of nomination lodgement, the LMT advertisement(s) do not include the proposed earnings for the nominated position (only applies where the earnings are less than A$96,400) or where a 'select occupation/position' nomination is not accompanied by a separate submission from the sponsor detailing why an Australian worker is not available to fill the position. In these cases, a new TSS nomination will need to be lodged, including further payment of the SAF charge. European Union: Schengen Information System Amendments Take Effect - Further to ongoing efforts to amend the Schengen Information System (SIS), the latest proposed changes are now approved by the Council . The SIS is an electronic database supporting external border control and law enforcement by registering persons refused entry or stay, persons wanted for arrest or to assist with a judicial procedure, and objects wanted for checks or seizure, among others. The amendments include more types of alerts to authorities (on persons who must return to their home country, children at risk of abduction, and suspects of serious crimes and terrorism, among others) and would allow Europol and the European Border and Coast Guard Agency to access the database going forward. The amendments cannot yet take effect since legal and technical changes must be completed first. The Council has not confirmed an estimated due date for these changes. Fragomen will monitor and report on developments. France: Reminder on EU Registration for UK Nationals - Further to ongoing Brexit developments and a recent French law outlining potential harsh restrictions to UK residents' rights in case of a no-deal Brexit, UK nationals currently residing in France are advised to complete voluntary EU registration as soon as possible to demonstrate their residence rights in preparation of Brexit. Upon successful completion of EU registration, the applicant will receive a carte de séjour, which helps demonstrate their residence status. Note that processing times for these applications range between six and 12 months, depending on the region of application. 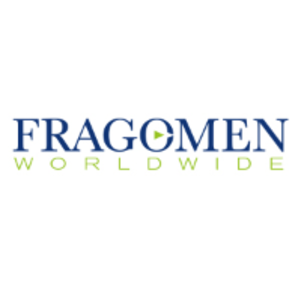 Fragomen can support applicants with EU registration. Iraq: Restrictions Implemented for Holding Residence Permits in Federal Iraq and Iraqi Kurdistan Simultaneously - Kurdish immigration authorities announced that foreign nationals cannot simultaneously hold a residence permit issued in Federal Iraq as well as a residence permit for Iraqi Kurdistan. Foreign nationals visiting Iraqi Kurdistan can remain there for up to 30 days, after which time they will be required to cancel their Federal Iraq residence visa and obtain a residence permit for Kurdistan. Netherlands: Contingency Plan for No Deal Brexit Outlined - The Dutch Immigration and Naturalization Services (IND) announced a contingency plan in the event of a no-deal Brexit, so that UK residents in the Netherlands may remain in the country after March 29, 2019 (Brexit Day). The announcement addresses residence in the Netherlands, but does not provide details about future work authorization. In the time leading up to Brexit Day, the IND will send UK residents a letter informing them of their residence status, or a procedure for obtaining residence status, if any, although details of this new status have not yet been released. At this time, UK residents should ensure that their registered address in municipal records is correct, as the IND will send the status letter to this address. No other action is required at this time, as it remains uncertain whether a Brexit Withdrawal Agreement will be made. Trinidad & Tobago: Original Documents Recommended for Work Permit Filing - The Work Permit Office had previously announced that foreign nationals no longer needed to submit original supporting documents with their online work permit applications. However, Fragomen advises applicants to maintain original documents in case the authorities request to verify them. The list of required supporting documents has not changed. • A U.S. federal judge has ordered the Trump administration to resume accepting asylum claims from migrants until the courts determine the legality of President Trump's rule that denies protections to people who enter the country illegally. • Australian Prime Minister Scott Morrison has proposed imposing stricter limits on immigration to control overcrowding in the country's major cities. • The Czech Republic became the latest European Union country to reject a United Nations pact to regulate the treatment of migrants worldwide. This alert is for informational purposes only. If you have any questions, please contact Fragomen.